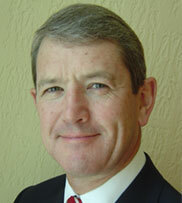 Mark has lived in Abu Dhabi since 2013 and is an international business development adviser. He has spent over thirty-five years working in aerospace and defence, both in the military and private sectors and in Asia and the Middle East. Prior to moving abroad, Mark spent a full career in the Royal Navy (Fleet Air Arm) before moving to into international sales and marketing for L3-Communications (Ocean Systems) and then Head of Region for AgustaWestland Helicopters in Asia and then as CEO of AgustaWestland Aviation Services LLC in Abu Dhabi. Mark has been supporting the development of the UK’s BISEN Group initiatives and its member companies in the UAE since 2015.